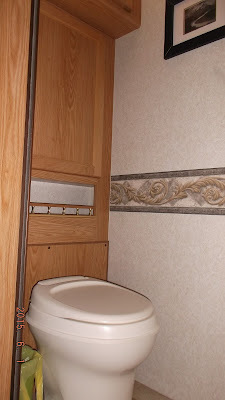 Think I had mentioned before that we are starting some re-doing in our RV. 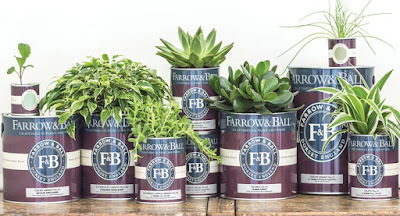 We partnered as well with Farrow & Ball- eco-friendly, wallpaper and paint experts. 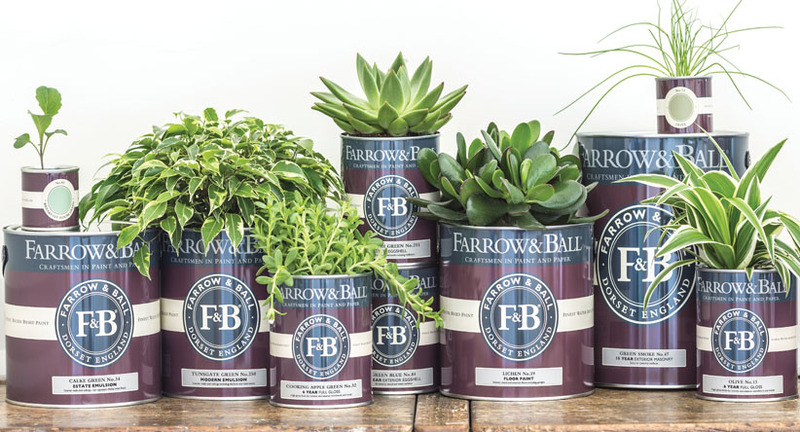 A company that has set themselves aside from other paint companies by creating a product of quality, using only the finest quality ingredients and rich pigments. 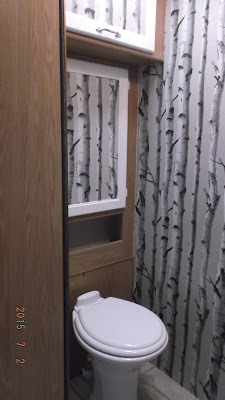 Gerry started on the the part of the bathroom that houses the toilet, which is a separate room off the main bathroom area. We had originally wanted to paint all the cupboards in there, white, and then do some wallpapering. Unfortunately, due to the gloss surface on most of the wood, we had to change our plans. Part of the cupboards Gerry said had real wood and part was not a real wood and with a gloss surface. He tried sanded that, but still would not hold a primer, so just had to change what we were going to do. As you can see by the before and after it still turned out nice. We changed over the toilet in there to a ceramic toilet, from the other that was in there. Also covered the factory papered walls and part of the cupboard doors, with a Walmart paper we picked up. Then Gerry painted what parts of the cupboard he could with white paint from Farrow & Ball. A nice paint to work with, with low odour. Stay tuned for Part 2 when we continue with the rest of the painting in the RV bathroom. Yes, should have some new pictures soon.